At the start of October I visited the Knitting and Stitching Show over at Ally Pally. As I cycled over on hilly, suburban backstreets, the sun was shining and I vividly remember the fire of autumn colour on the trees I passed. There was one stretch with a line of liquidamber trees that was breathtaking. Fast forward nearly a month and I’ve sewed up one of my purchases. 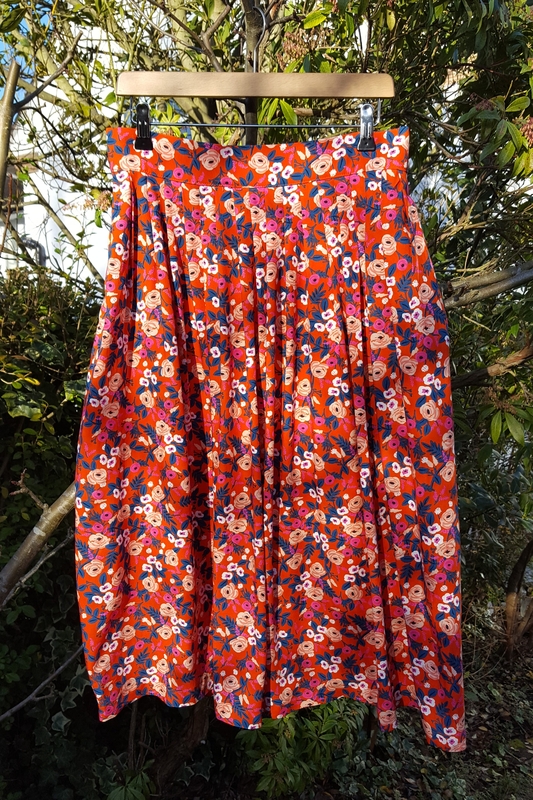 I actually kept relatively well to my shopping list, and although one of the items on my list was “Liberty sweatshirting”, there was actually only one print that I liked, and less than 80cm of it. So I let it be, finished going round the show, and then found myself back in front of the Fabrics Galore stand. I caved and bought it. After all, 80cm is better than nothing! When I got it home I also discovered that it was cut diagonally. Nightmare! But I liked it too much to make something for a small person, so instead I whipped up this cropped tee for myself last weekend. I used my go-to top block, Simplicity 8523, and played around with some of my Bernina’s stretch stitches around the neck and hem. I love it! It’s so cosy, but I can also wear it to the office. And the print burns bright – I’m so pleased I let myself buy this remnant. It goes very well with the Japanese maple in the garden right now. 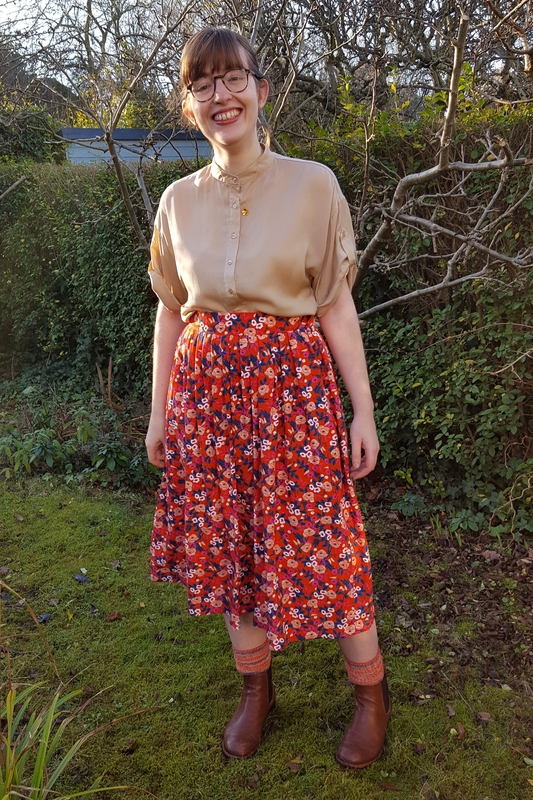 So I got my fantastic new Bernina, and then took myself off to Wales for the weekend and ended up sewing the majority of this skirt on my mum’s trusty Janome, which is now, following the demise of our Canadian Singer from the 70s, our very oldest sewing machine, hailing from – shock horror – the late 90s. 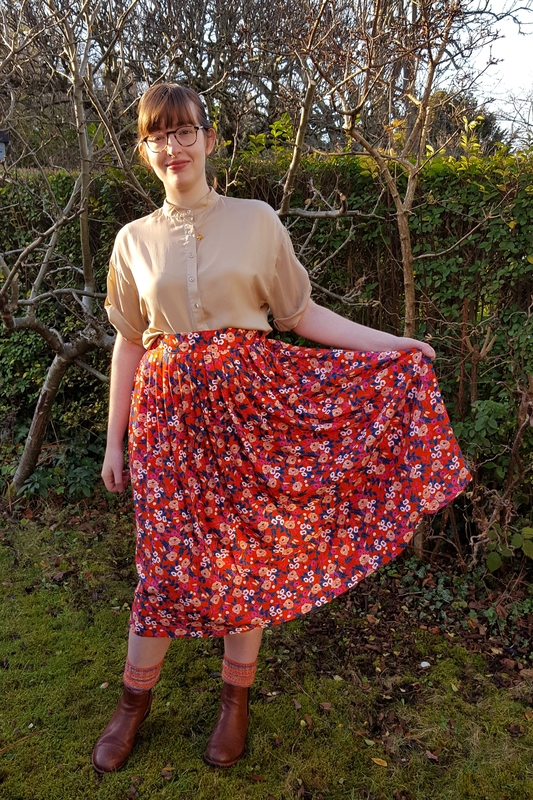 The outer and lining are both self drafted so a bit (a lot!) of trial and error went into this skirt. 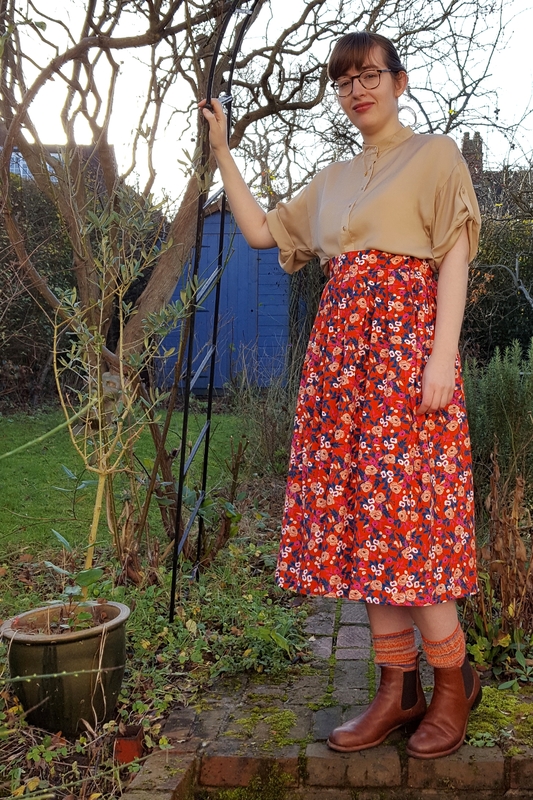 The lining is A-line with darts front and back, and the outer skirt is straight with knife pleats (following this excellent tutorial, which, unexpectedly, calls for a fork). The fabric is rayon from Cotton + Steel’s second collaboration with Rifle Paper Co, Wonderland, purchased in the summer from The Village Haberdashery. What can I say? I really like this skirt! 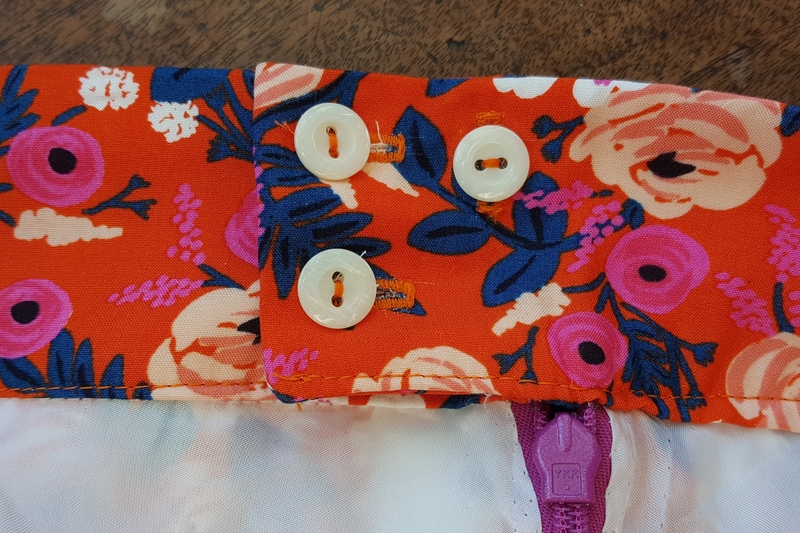 I also figured out how to use my Bernina’s automatic buttonhole feature, so can now realistically think about making some proper, button-down blouses (at long last). Time to really make progress on my extensive Liberty tana lawn collection. This year my mum asked me to knit her a hat for Christmas, to replace one she’d lost, so I sewed her a dress. I also knit her the hat, but wanted to make her something she wouldn’t leave on the train! 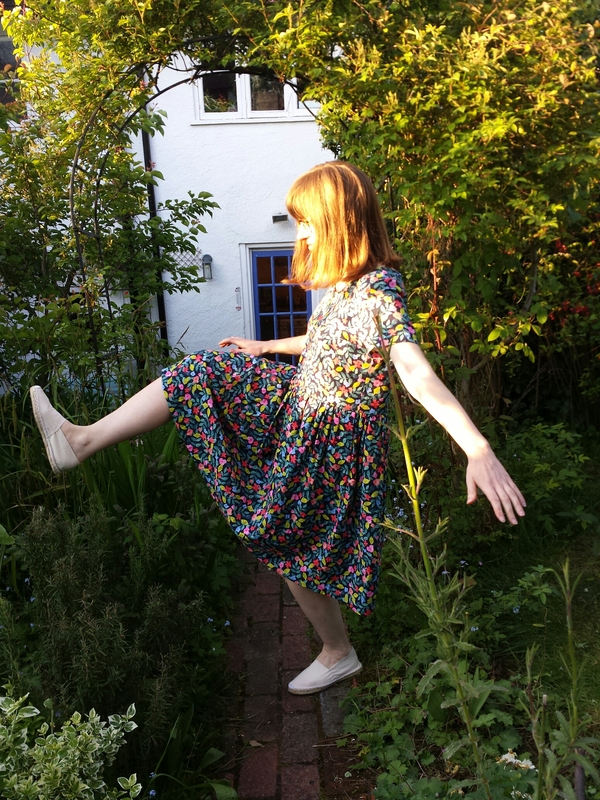 The fabric is Liberty “Poppytot” fluffy sweatshirt in which I hot as a remnant about two years ago (half price! What a steal). I already made myself this sweatshirt from it last year and there was thankfully still enough left for a dress. 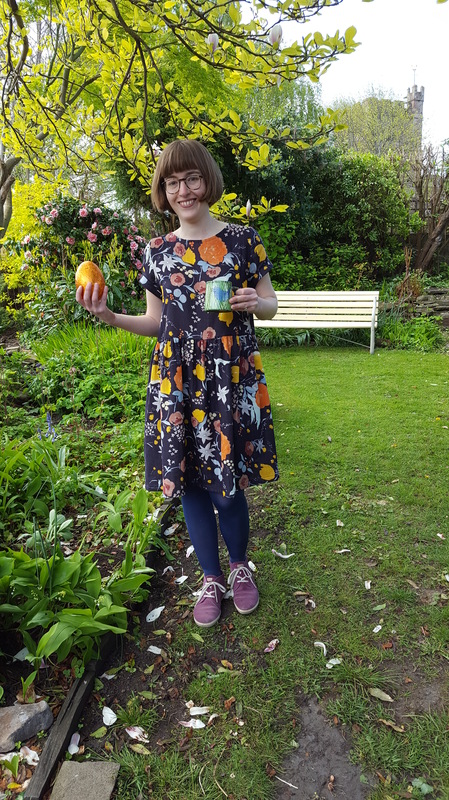 For the pattern, I used the Grainline Studio Lark Tee as a base, but added darts and length, and altered the neckline largely in line with New Look K6145. 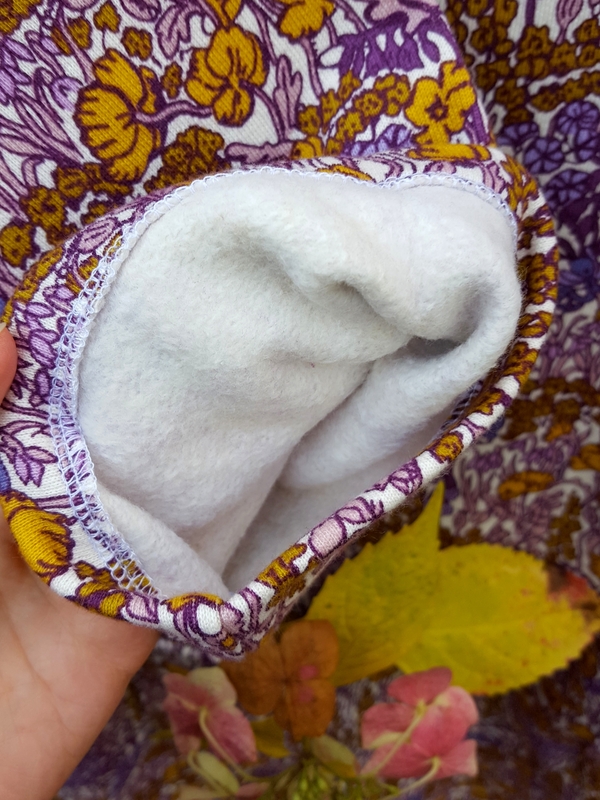 I sized up one because of the thickness of the fabric, and also added patch pockets. 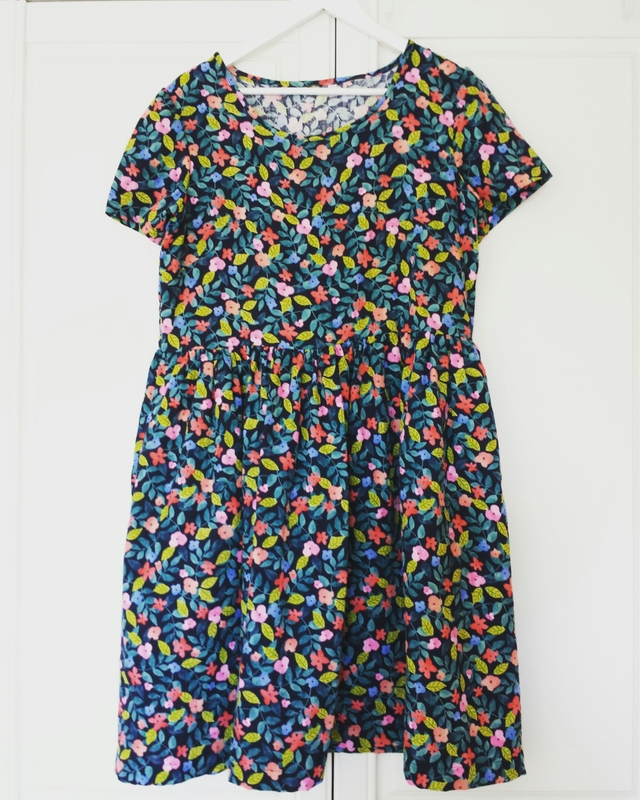 My two sewing passions right now are Nani Iro fabrics and Named Clothing patterns. I bought the pattern for the ubiquitous Named Clothing Inari Tee at the new Ray-Stitch shop a few months back. I want to make at least half a dozen of these tees in Nani Iro double gauze for my summer work wardrobe, but first – a dress! 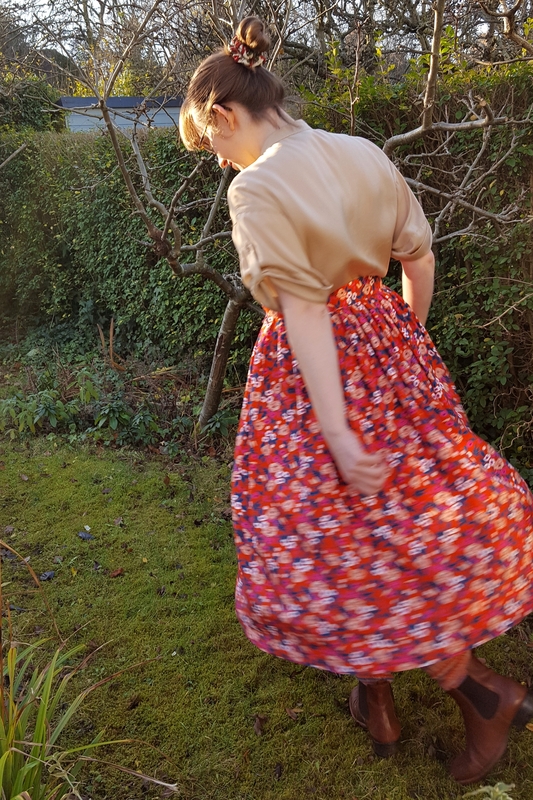 I added a gathered skirt. 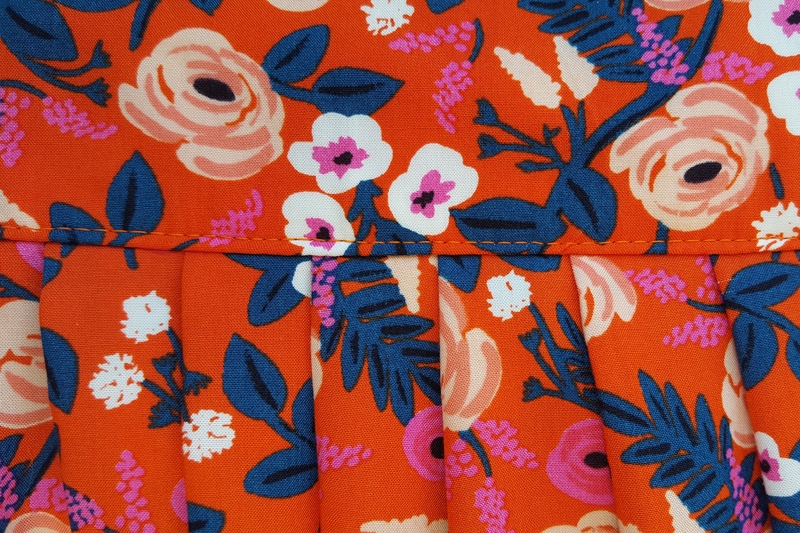 In my usual way with these Japanese fabrics, I just used the full width (selvedge to selvedge) to avoid raw edges. It’s such narrow fabric that it just makes sense. 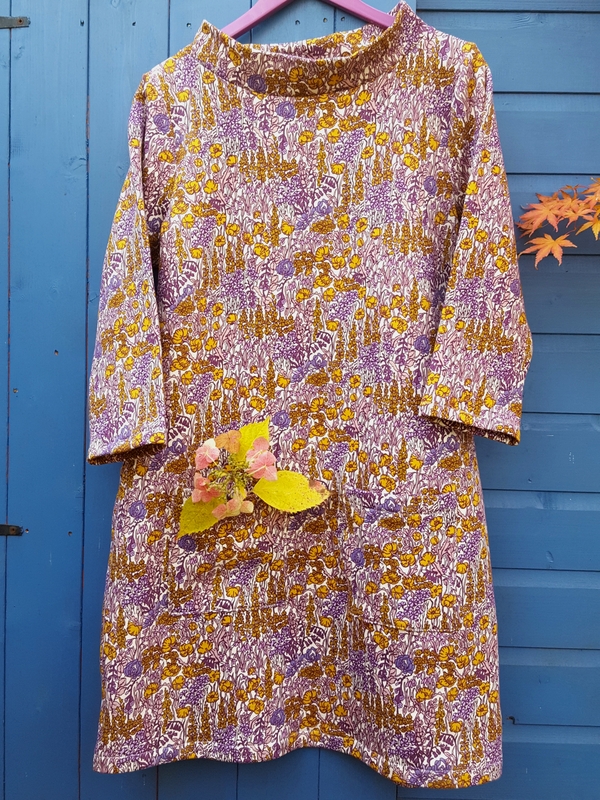 The fabric was from one of my favourite online shops, M is for Make. 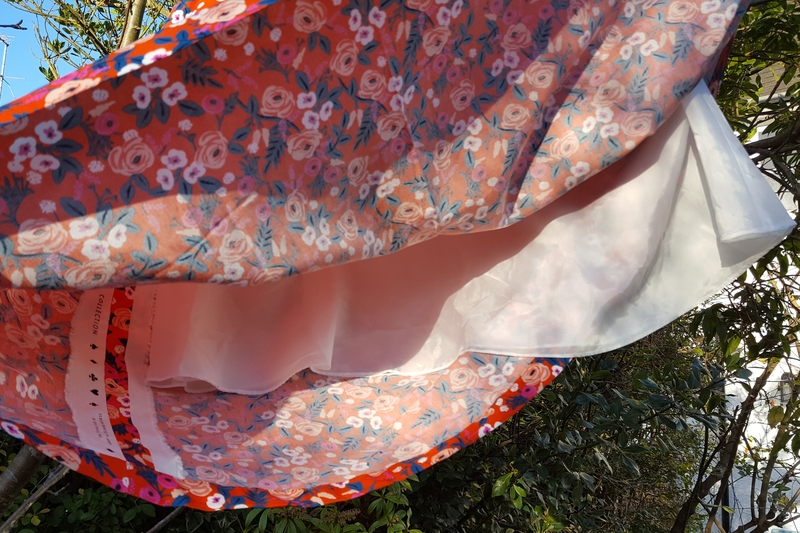 I’m a bit addicted to Japanese double gauze, and in combination with this have spent the past few months obsessing over every tiny glimpse of the Cotton + Steel x Rifle Paper Co fabric collection collaboration, Les Fleurs. Under all this pressure, when I saw this incredible floral print at Miss Matatabi I was instantly enchanted. Clearly a new summer dress was necessary! 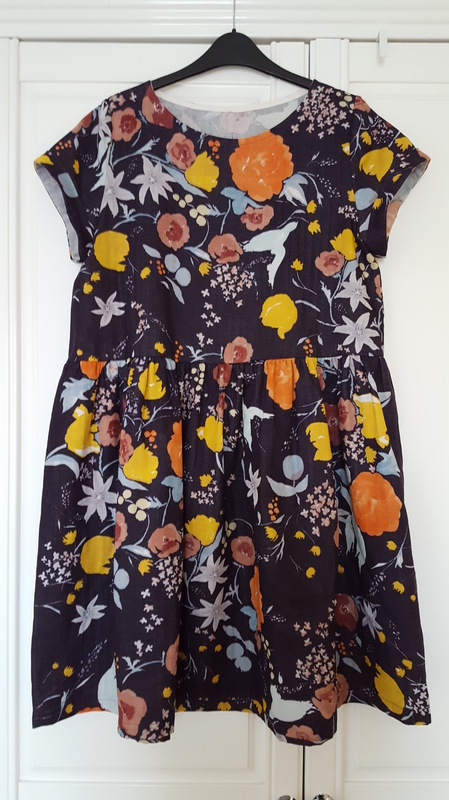 I drafted the bodice from Simplicity 8523, raised the waist, added a gathered skirt and pockets, and got rid of the pesky facings. Last time I used the blouse pattern was for my Growing Fonder top, and the facings really are annoying. I’m fully a convert to hidden bias tape finishes now. Anyway, this dress is absolutely great. I love it!